Many call it a travesty, but I can't help but love this shoe. This year has been one of dramatic change and self-discovery for me. My personal relationship with fashion and dress over the past few months has most certainly been influenced by this, and so I find that my year in dress thus far has been about nostalgia. I have been trying to reconnect with the things that made me fall in love with clothing in the first place, and just follow my interests in a more organic fashion to focus on the things that truly excite me and make me feel happy. It has been an interesting journey, and I plan on sharing some of it here on the blog in the near future. I have been revisiting pieces and ideas that hold a personal connection for me, ostensibly in a methodological manner (it started off that way), but to be honest, I have been having so much fun with it, that I have simply been following where my gut takes me. Indeed one of the areas that I have really been reconnecting with and enjoying is sneaker culture. Sneakers were the gateway to fashion for me as a youngster, and continue to be my weakness. However this year has been the first time in a number of years that I have been following release dates, watching and reading reviews, and just getting a general feel for where things are now and how the culture continues to shift and change. To be honest it has been interesting from a more academic viewpoint as well, and, as I have shared before, I think that there really is so much that needs to be written about and studied when it comes to sneaker culture. And I do believe that it is a perfect time for researchers, because of the massive availability of data thanks to social media. But today is not about statistical data or sociological perspectives, it is about a childhood fascination with sneakers. 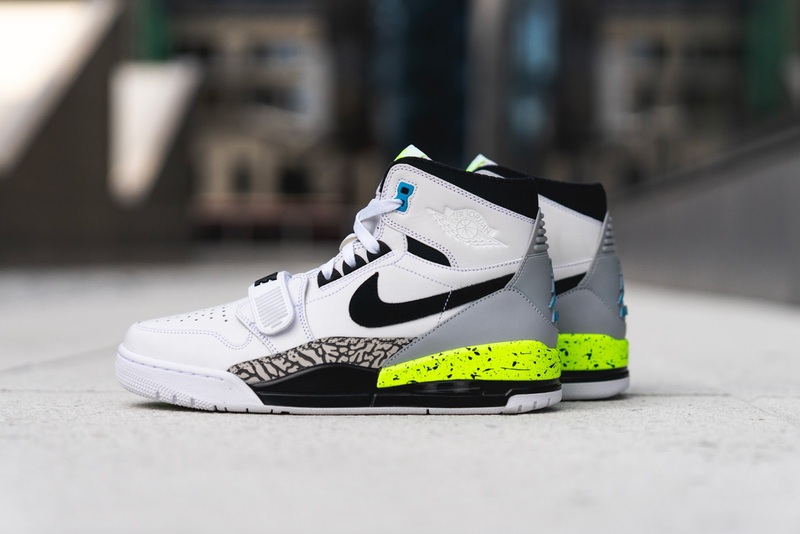 The Legacy 312 is the latest collaboration by Don C with Jordan brand, celebrating his hometown of Chicago, and the history of the Jordan sneaker line. 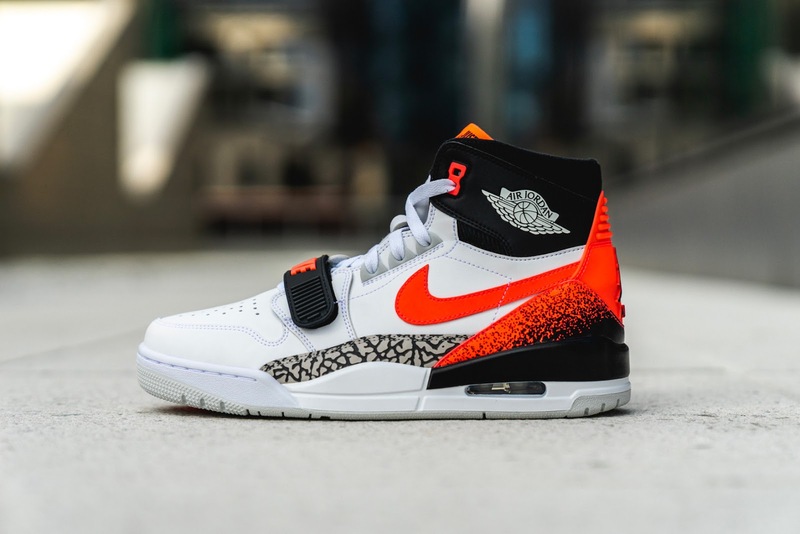 It is essentially a fusion shoe, with an Air Jordan 1 upper, Air Jordan 3 sole, and the strap detailing taken from the Alpha Force Low, which Michael Jordan did actually wear between the Air Jordan 2 and Air Jordan 3. The 312 name is a reference to the downtown Chicago telephone area code. 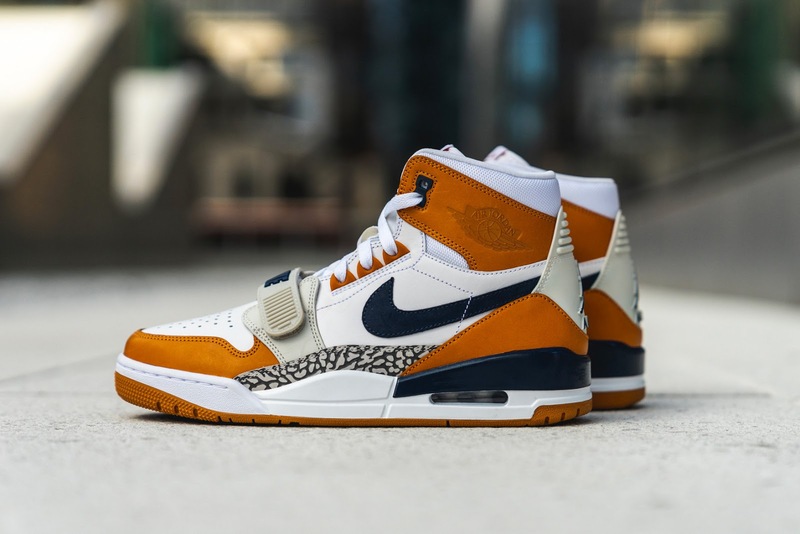 Don C wanted to pay homage to Chicago and the history of Jordan brand, and so took two of the most important sneakers from the line. The Air Jordan 1 can essentially be credited with transforming sneaker culture from an underground subculture, into a commodified "upperground" (to use Yuniya Kawamura's term) cultural phenomenon. However it was not until the Air Jordan 3 that Jordans in and of themselves gained the beginnings of the cultural cachet the brand enjoys today. Indeed it was the first Jordan sneaker to be designed by Tinker Hatfield, at a time where Michael Jordan was considering leaving Nike. They are perhaps most memorable for the fact that they were worn in advertisements by Spike Lee's character from She's Gotta Have It - Mars Blackmon. Whereas the Air Jordan 1 started brand Jordan, the Air Jordan 3 made the line a household name. And so it makes sense that Don C would pay respect to these two styles, which I think resulted in a really nice shoe. I find it odd how protective Jordan fans get over the line, as if ignoring the fact that hideous sneakers like the Jordan 15 and 17 exist. A brand cannot survive on retro re-releases alone, and so I like the fact that they are willing to take risks and try something different. I suppose it is a generational thing more than anything else, because no doubt those who grew up watching Michael Jordan play, and remember getting the original releases, feel protective over their childhood memories. But even so, I do not see this sneaker as disrespecting that memory, I see it as a celebration, and as something entirely new. I do find it interesting seeing the generational differences in sneaker culture though, because to read accounts by collectors from the pre-Jordan era, many of them saw the Jordan as heralding the end of the golden age. This was no doubt due to the shift from underground to upperground. I guess each generation of fans see themselves as the truest fan, and so when changes happen, perhaps intended to cater for a newer audience, they see it as a threat to their emotional attachment. You see this in culture everywhere, from original Star Wars fans to early Rick Owens fans, where they are resistant to a newer audience and any perceived changes to what they believe to be the core identity of the brand or product. For me personally, because I did not grow up watching basketball, Jordans were never a concrete object for me, but an idea. I have written about this in a post before, but essentially the brand name and general style of the shoes held more meaning to me as a child than the specific design details of the shoe. Of course later on I would come to learn more about each design and appreciate them from that perspective, but even so, it is obviously not the same thing as seeing them and wearing them as they came out. It is for that reason that I guess I love this sneaker, because removing the fact that it has Jordan branding, I think it is a cool looking basketball shoe, that reminds me of my childhood. It seems like something I would have seen Will Smith wearing on Fresh Prince, or something you would have seen on Saved By The Bell. My gut reaction to the shoe is purely aesthetic, and on that level I really enjoy it. But then to see the design language and recognise the references, it actually makes me appreciate it more on a historical and cultural level. 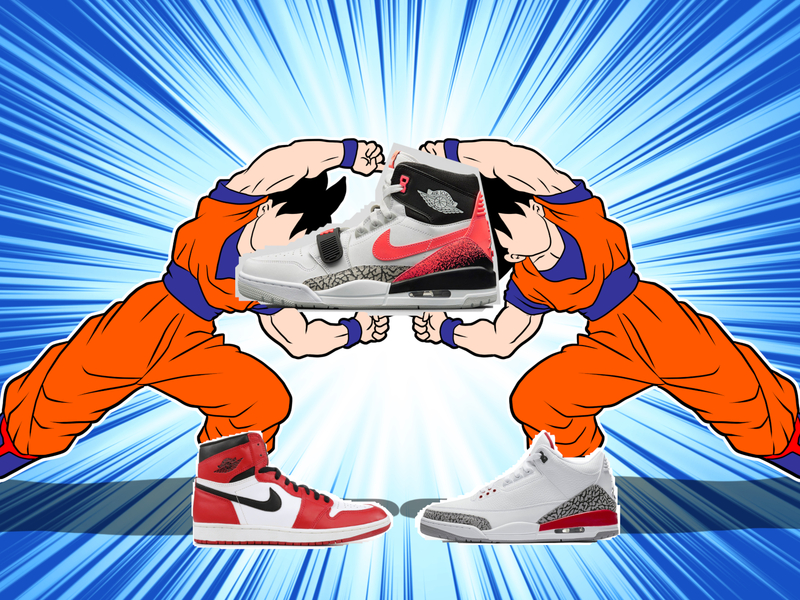 I think that the Air Jordan 1 is the most important sneaker in history, and that the Air Jordan 3 is perhaps the most important for the brand, and so that fusion really is a celebration that I enjoy seeing. If you had asked me as a child what a basketball shoe should look like, this is pretty much what I would have imagined. As seems to be the case these days, people absolutely hated this shoe and went in on it online, but on release day they sold out. I hope the people who bought them were fans, but no doubt the majority were resellers (no judgement here, I have flipped the occasional piece too). I do find it odd to consider the sneaker market as of late though, because hype sells, but it no longer seems to matter whether that hype is positive or negative. Now we could go deep into it and say that social media has cultivated an audience that thrives on extremes, because that is the only way to stand out in the torrential deluge of information on social feeds, but I think that it has always been the case in fashion. And then there is the fact that I really do like this shoe, and I am sure that there are many others who do too. With all the popularity of "ugly" sneakers these days, I think it would be very hard to release a shoe with such extreme styling that would not sell well, provided you made it a limited release. Fusions seem to be the name of the game lately, whether it be adding Vapormax soles to 90s Nike models, or Boost soles to whichever Adidas model. I guess it is a way of bringing older styles back into the market and reorienting it towards newer consumers who are too young to really remember, or have been able to enjoy, the originals. If that sounds familiar, it is because it is the cycle of fashion in a nutshell, and that is what these sneakers are - a fashion shoe, not a basketball shoe.